A new NFL season is slated to begin on Sept. 8, kicking off five months of pure jubilation for football junkies. Each year, there are players and teams whose success comes as a surprise, as well as those who fail to live up to expectations. This article will predict who those players and teams will be, while also picking the winner of each division and ultimately the Super Bowl champion. The Jaguars have been the laughing stock of the NFL for quite some time now. They have not finished a season with a winning record since 2007. That will change this year. The additions of rookie defensemen Jalen Ramsey and Myles Jack via the draft, and former Broncos defensive end Malik Jackson via free agency, combined with the return of Dante Fowler Jr. (their 2015 first round pick who was sidelined last season with a torn ACL), will make the Jaguars defense a force to be reckoned with this season. Their defense should be stout, and has a chance of being in the upper echelon of the NFL, despite being ranked next to last in 2015. Not only is their defense vastly improved, but their offense will take the next step as well. Blake Bortles, one of the premier young quarterbacks in the league, will continue to develop and improve as he enters his third season out of the University of Central Florida. It also doesn’t hurt that his top receiver, Allen Robinson, has developed into a flat-out stud. He might not yet be a household name, but that can easily be attributed to his team’s lack of sustained success. At this season’s end, his production will no longer go unnoticed and he will be in the discussion with Antonio Brown, Deandre Hopkins, and Odell Beckham Jr. as the best pass catcher in the league. He will help lead Jacksonville to heights that nobody saw coming. It is not often that a rookie enters a professional league as competitive as the NFL and takes it by storm. This year will be an anomaly because there will be two rookies who will do so. The first is Dallas Cowboys running back Ezekiel Elliott. Elliott was a force to be reckoned with at Ohio State University, leading the Buckeyes offensive attack with 100 yards in 12 of his 13 games last season. As a member of the Cowboys, Elliott will be running behind the best offensive line in football. Two years ago, DeMarco Murray was able to run for 1,845 total yards with the Cowboys. Upon signing with the Philadelphia Eagles the following season, his production essentially fell off a cliff. With Elliott’s raw talent coming out of the backfield, he is poised to have a monstrous rookie campaign and find himself in the discussion for best running back in the NFL along with Adrian Peterson and Todd Gurley. The second player poised to have a breakout season who also happens to be a rookie is Giants wide receiver Sterling Shepard. Coming out of Oklahoma, Shepard’s 5’10” stature prevented him from being the top wide receiver selected in the draft. He runs crisp routes and has such good hands that he wouldn’t have a problem catching hot coals. Lined up alongside All-Pro wideout Odell Beckham Jr., Shepard’s opportunities will be plentiful. He will fill the void that Victor Cruz left after succumbing to injuries. Shepard is primed to makes waves in the NFL. The Broncos will not live up to expectations this year coming off last year’s Super Bowl victory. Obviously they lost one of the greatest players of all-time with the retirement of star quarterback Peyton Manning, but what they’re losing with Peyton’s retirement is not just what he brought to the team in terms of his quarterback play. They lost one of the greatest leaders not just in the history of the NFL, but in all of sports, and I do not see that void being filled from within the organization. Teams who hoist the Vince Lombardi trophy in February often suffer from “Super Bowl hangovers” the following season, and the Broncos will be no exception. They will endure a precipitous fall from grace and will fail to make the playoffs after winning the Super Bowl last season. Every season there are a number of players who fail to live up to players, coaches and fans’ expectations. This year, Fitzpatrick will be at the forefront of that sorry group. Fair or unfair, by holding out and demanding more money from the Jets’ front office, Fitzpatrick illustrated that he views himself as an elite quarterback. He will be unable to live up to those expectations, in part due to the New York Jets’ difficult schedule and also to their aging roster. The Jets will struggle this year and due to the perception of Fitzpatrick and his holdout, he will be viewed as the scapegoat. There are many players with an opportunity to snag the MVP award this season. However, when all is said and done, Pittsburgh Steelers quarterback Roethlisberger will take home the award. He is surrounded by an abundance of weapons, most notably Antonio Brown. However, he will have to overcome some self-inflicted wounds with star running back Le’Veon Bell suspended the first three games and secondary target Martavis Bryant suspended for the entire season. Roethlisberger must play at a high level for the Steelers to reach the heights that they envision. I believe he will do just that, carrying the Steelers into the postseason and showing the rest of the league just how valuable he truly is. The AFC is wide open this year. There are a handful of teams that are vastly improved and possess the potency to represent the conference in the Super Bowl. The New England Patriots will win the AFC East despite quarterback Tom Brady being suspended for the first four games of the season. The suspension will obviously hurt the Pats, but it will not be enough for the Jets to overcome their brutal schedule or for the Buffalo Bills to overcome their lack of discipline. The Pittsburgh Steelers will win the AFC North in what may be the most competitive division in the NFL. The Steelers will go as far as Ben Roethlisberger will carry them, and with the help of Brown and Bell, the Steelers have a legitimate shot to be playing in Houston come February. Surprising many casual NFL fans, the Jacksonville Jaguars will capture their first AFC South title. The Jaguars’ revamped defense paired with a youthful offense will be too much for the rest of the division to handle. Out west, the Kansas City Chiefs will dominate. The return to health of premier running back Jamaal Charles in conjunction with the retirement of Peyton Manning plays right into Head Coach Andy Reid’s hands, who will lead the Chiefs into the postseason for a second straight season. The two Wild Card teams from the AFC will be the Cincinnati Bengals and the Oakland Raiders. Despite being a Wild Card team, the Bengals have as good a chance as any to represent the AFC in the Super Bowl. The connection between quarterback Andy Dalton and wideout A.J. Green will be lethal, and Green’s production should keep him in the running for MVP this season. The second Wild Card team, the Raiders, will be vastly improved this season. Under the tutelage of Jack Del Rio, the three-headed monster of Derek Carr, Amari Cooper, and Khalil Mack will lead the Raiders to the postseason for the first time since 2002. There are a number of talented teams in the AFC, but the cream always rises to the top. The New England Patriots will represent the AFC in the Super Bowl. The NFC is surprisingly top-heavy. There are three or four juggernauts that have a chance to play football in February while the rest of the conference is seemingly mediocre. The NFC East, which may be the weakest division in football this season, will be won (someone must win it) by the New York Giants. The Giants added some impact players via free agency in Olivier Vernon, Janoris Jenkins, and Damon “Snacks” Harrison to help bolster their formerly abysmal defense and give them just enough to make the postseason. 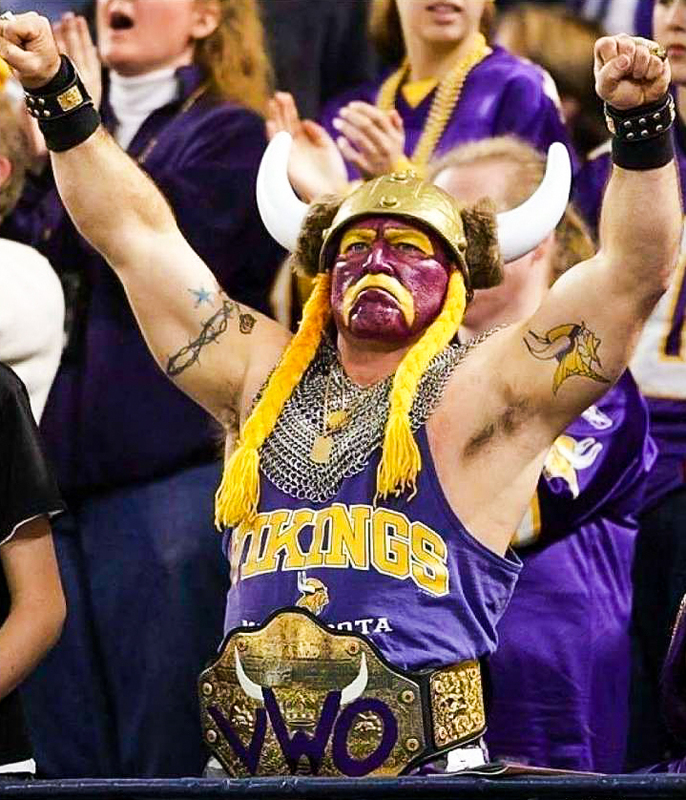 In the north, the Minnesota Vikings will show that they have what it takes to sustain success in a difficult division. Peterson will pace their offense, and their defense will be one of the best in the NFL. (Note: This article was written prior to the injury of Viking’s quarterback Teddy Bridgewater, who will sit out the entire 2016 season with a torn ACL.) The Carolina Panthers will repeat as NFC South champions. Although they will not have as magical of a season as they did last year, the Panthers simply have too much talent not to win this division. Reigning MVP Cam Newton is a bona fide superstar and will establish himself as the face of the league this season. Head Coach Bruce Arians and the Arizona Cardinals will repeat atop the NFC West. Despite their playoff debacle against Carolina in last year’s NFC championship game, the Cardinals return with 100 percent of their offensive production while adding Chandler Jones to an already dominant defense. The Green Bay Packers and the Seattle Seahawks will be the two Wild Card teams representing the NFC. It is preposterous to pick against Aaron Rodgers of Green Bay, who might be the most talented quarterback the NFL has ever seen. His combination of accuracy, arm strength, and the ability to scramble is unparalleled. He will guide the Packers to the postseason. Despite the retirement of Marshawn Lynch, the Seahawks will still play in January. Their defense and the steady improvement of QB Russell Wilson will be plenty to lead the Seahawks over the hump. At the end of the day, the Arizona Cardinals, on the shoulders of future Hall of Fame wideout Larry Fitzgerald, will represent the NFC in the Super Bowl. Remember the last time the Patriots had a chip, or rather a boulder, on their shoulder? It was 2007 after they had been punished vehemently for their role in what has since been referred to as “SpyGate.” That year, they went 18-0, and despite losing to the Giants in the Super Bowl, they made their displeasure with Roger Goodell and the league office widely known. The rest of the NFL paid for Goodell’s ruling at the hands of the Patriots’ and their superior play. This year, even without Tom Brady for the first four games, the Patriots will be laser-focused and they will make the rest of the league pay for the way in which they feel that the “DeflateGate” saga was mishandled. Behind the right arm of Tom Brady and the brain of Bill Belichick, the New England Patriots will capture their fifth Vince Lombardi trophy at NRG Stadium. I like the Jaguars pick. I never thought I’d ever hear them mentioned as having a chance. Ezekiel Elliot and Sterling Shepard ok….what about Dak Prescott??? Solid Selection with Roethlisberger……LOL @ Jacksonville. My surprise squad would be the Eagles!